If you develop websites and your environment is not WordPress, you still don’t need to live your online life in visual darkness or hide beneath the sheets. We curated a list of awesome templates layered in HTML and CSS to make your work easier, and with a lot of different grooves to find the appropriate one for your web. 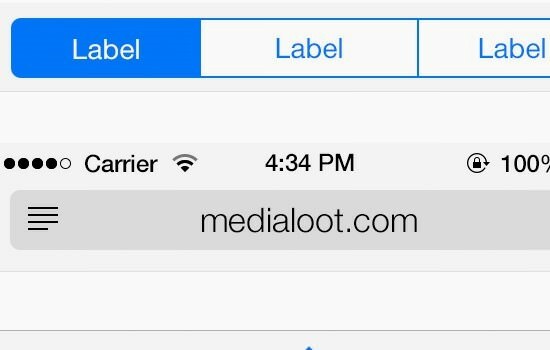 Or, if you are you more confortable developing your own theme based on some pre-built elements, here is the inspiration you need to create an awesome theme or application. Starting with the PSDs and UIs shown below, you can create your own awesome design. Take a look! HTML and CSS as basic as they are, have evolved a lot and certainly have a lot of potential that has not been explored yet. Every day new complex elements like menus, sliders, and even images, are created using only these two. That is why we encourage you to see the potential of these two combined to make an awesome template for your web. 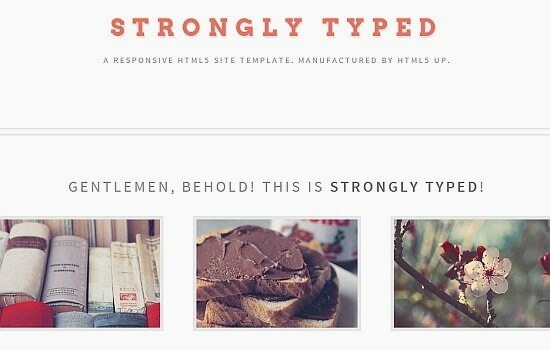 Strongly Typed: Responsive HTML5 Site Template. 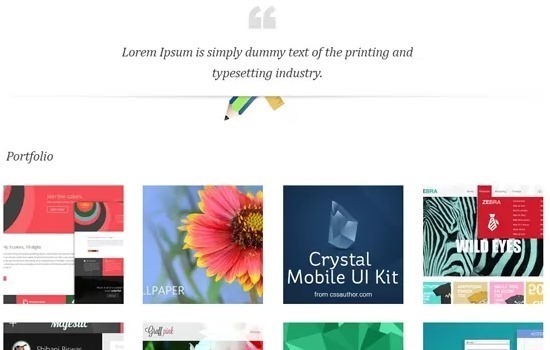 Infinite: This is a Small HTML/CSS Template for a Design Blog. 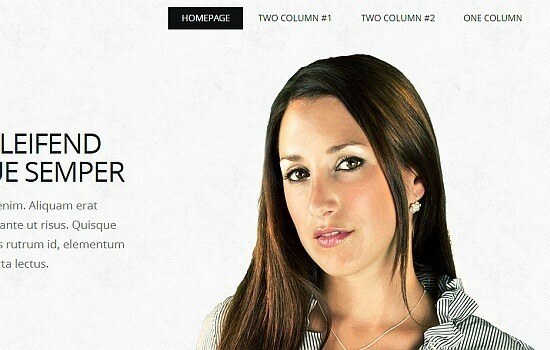 Features: Full width, responsive grid layout theme theme with a nice box position effect. 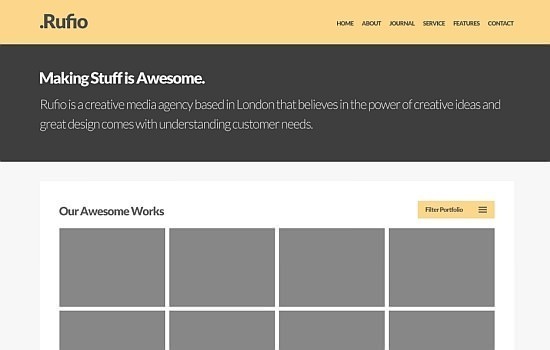 Megacorp: Black and White Flat Business Theme. 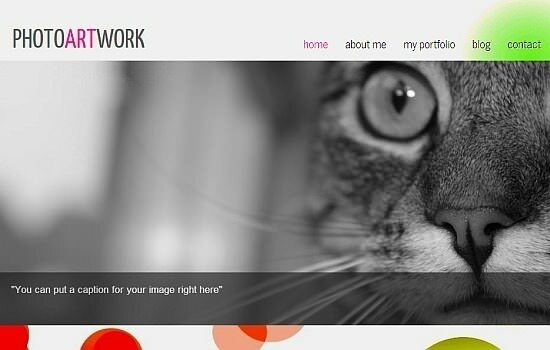 Photoartwork: This Template is Written Entirely in HTML5 and CSS3. 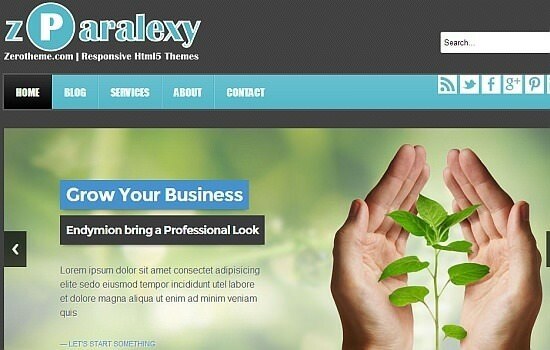 zParalexy: Responsive Theme with Portfolio Page Made in HTML5 and CSS3. 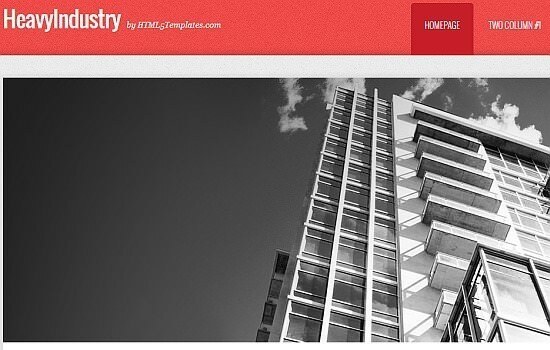 Heavyindustry: Industry Inspiration Red Theme. 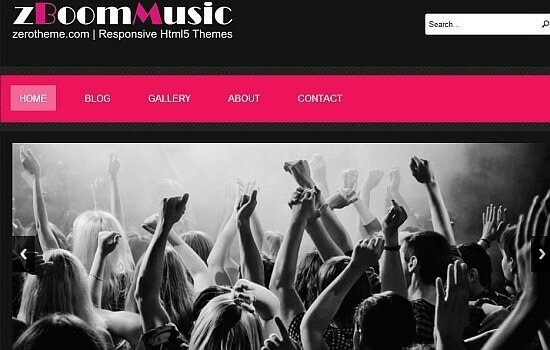 Zboommusic: Music Artist Inspiration Responsive Black Theme. 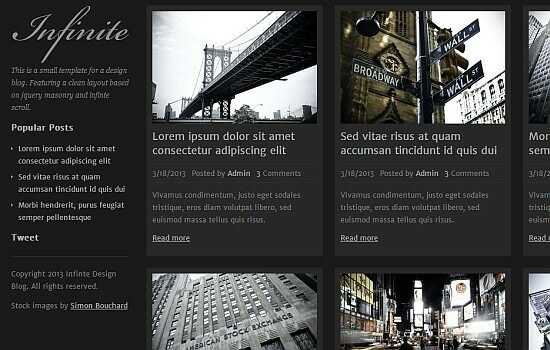 Features: Dark, flat responsive theme with custom page templates. 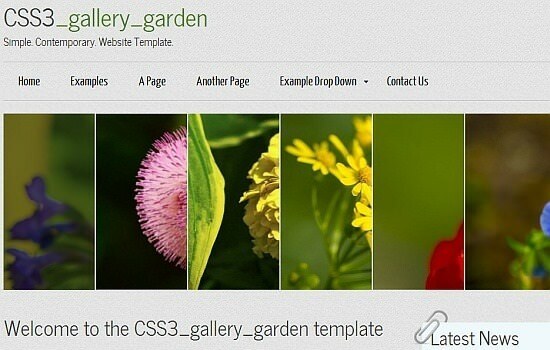 CSS3_gallery_garden: Simple Two Column Fixed Width Template. Features: Fixed width, minimal theme with a built in accordion slider. 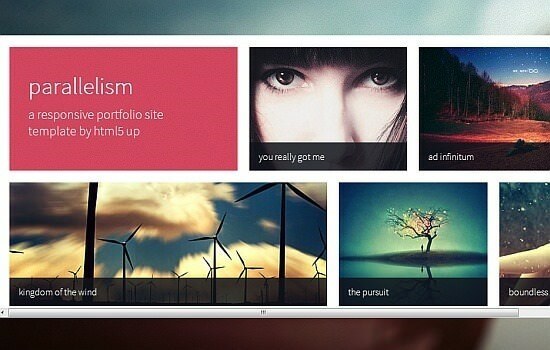 Parallelism: Responsive Portfolio Site Template. Designers have an eye for what customers like in a website, and that is the reason why many developers use to look for a cool PSD to start working from, to ensure customers a great experience. These here are simply excellent PSD themes that you can use on your next project. 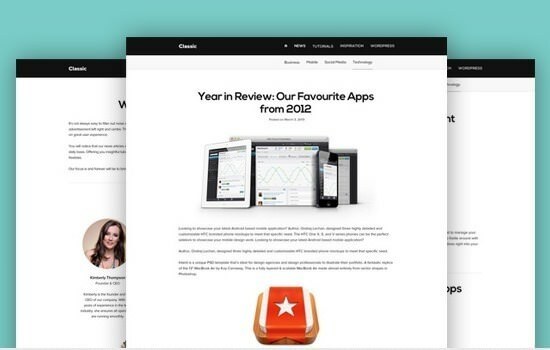 Classic: Clean & Minimal Blog Design Template. 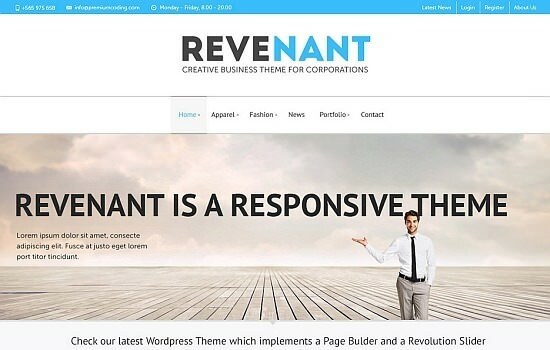 Revenant: Blue and White Color Combination with Clean Grid to Display Your Products. 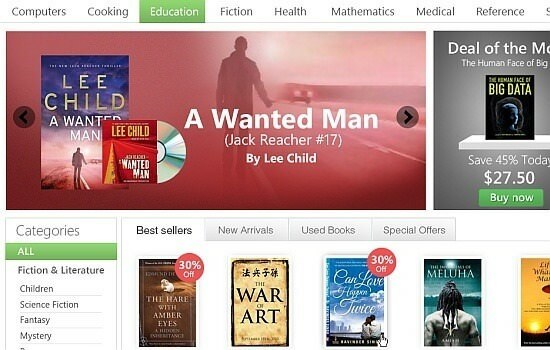 E-commerce: Template for Online Bookstore. 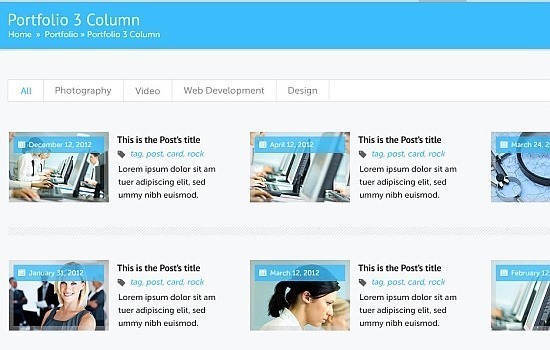 Portfolio: Template for the 3 Column Portfolio Page. 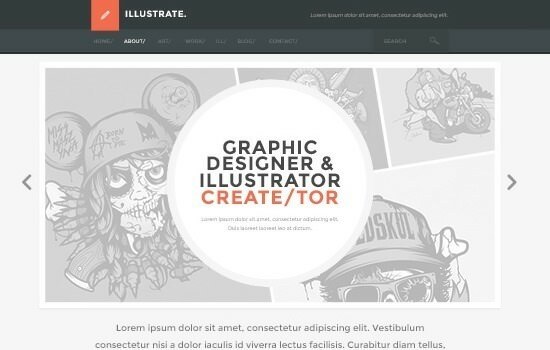 Illustrate: Flat, Black and White Theme for Designers. Webfolio: Minimal Portfolio Template with Mobile Version. What developer does not like UI elements? These are excellent inspiration and give a good idea on how to show several elements in a small space without losing harmony. 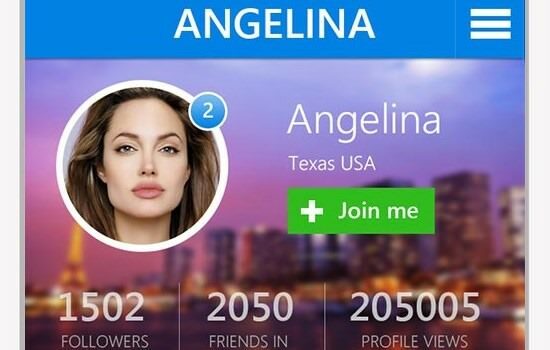 Crystal: Free Mobile Application UI Design in PSD. 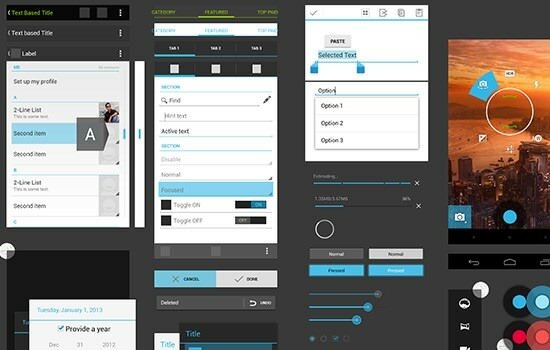 Nexus 4 GUI: Android UI Design Kit PSD to Version 4.2.2. 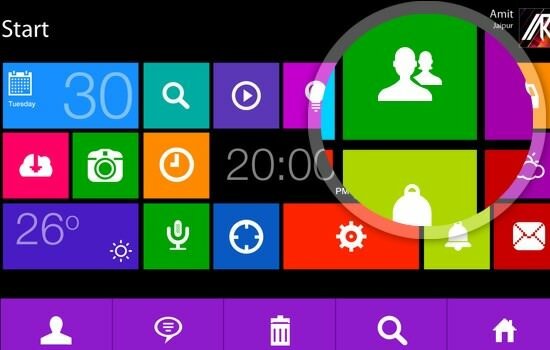 Features: 768*1280 screen resolution GUI, elements are designed pixel perfect. Window 8 Metro: 100+ Awesome Window 8 Metro Style Icon and App GUI Kit. 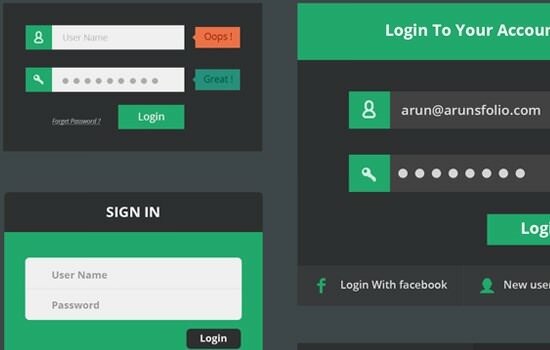 Metro Vibes: Modern Metro UI Kit That Will Help You Shape Your Website. 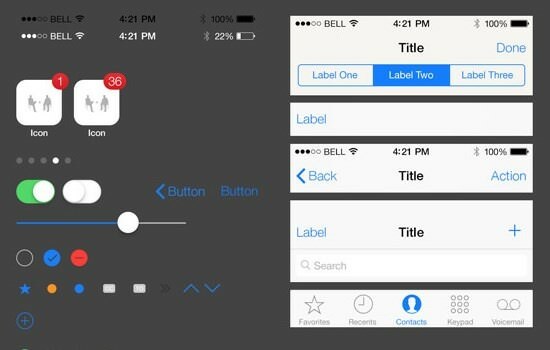 iOS 7 GUI: Photoshop Template of GUI Elements Found in the Beta 1 Release of iOS 7. Features: Flat GUI based on the beta version of iOS 7 including the essential elements to make a good application. 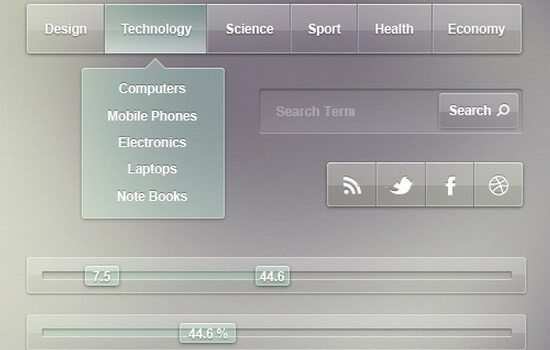 Flat GUI: Amazing Set with More Than 500 Elements Totally Editable Files. 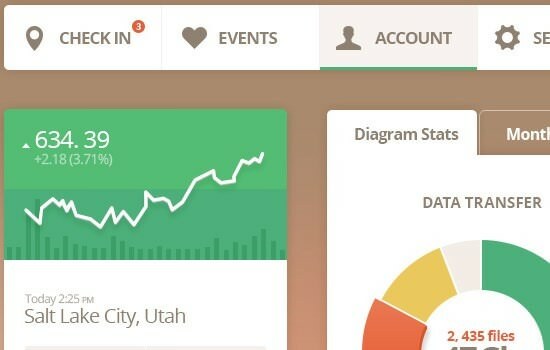 iOS 7 UI Kit: Start Designing iOS 7 Apps Today with This Comprehensive GUI Kit. Metro UI Kit: Metro Style Elements Collection. 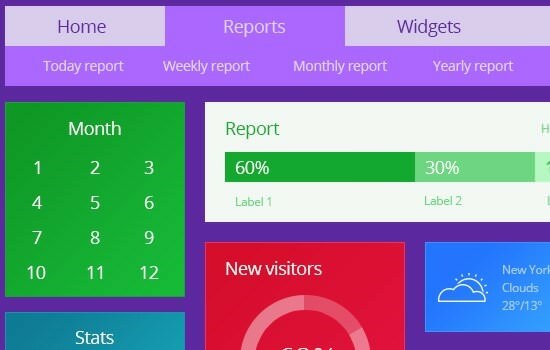 Features: Colorful metro GUI that includes calendar, stats, chart, icons and more. 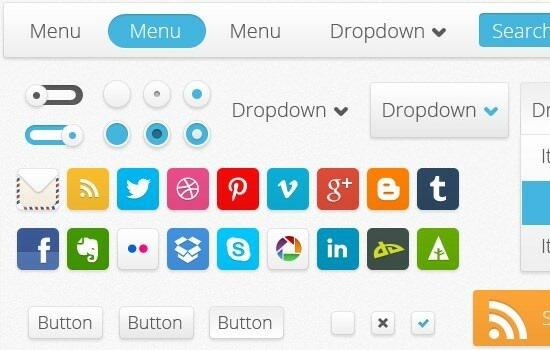 Vertical Infinity: Mega Flat Style UI Kit in PSD. Minimal GUI Set: Huge Plastic GUI Pack with More Than a Thousand Elements. 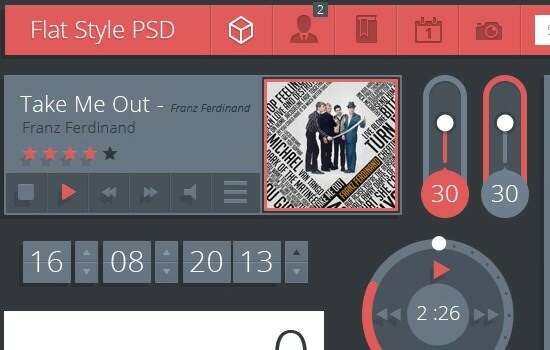 Transparent UI: Full PSD Free Transparent Layered UI Kit. 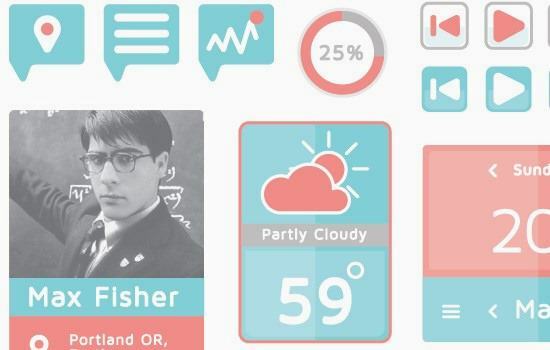 Flat UI Kit: Red and Blue Flat and curvy UI Kit. 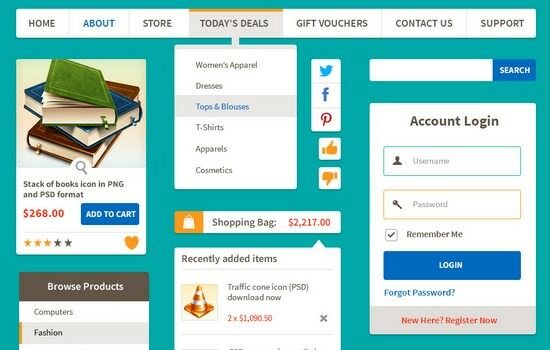 Ecommerce Flat: PSD Ecommerce UI Kit with Flat Design.